Florida Man fights to save babies. 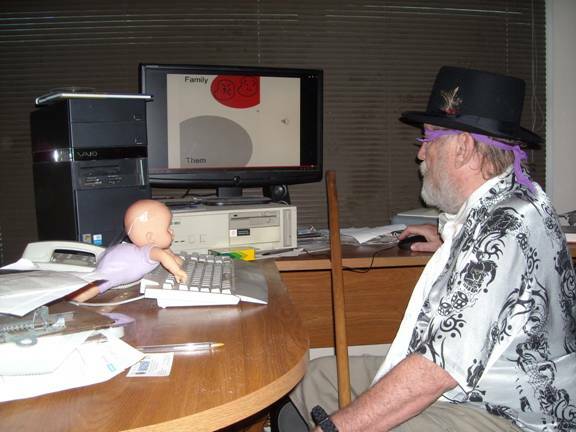 Florida Man fights for the babies, looking at “Babies Triumph over Evil” on YouTube. 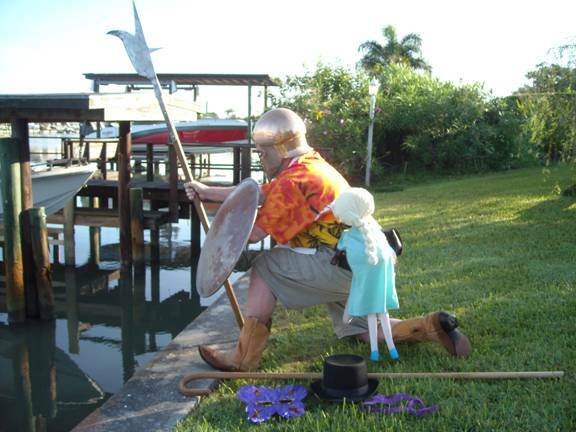 Florida Man and sidekick standing off an attack. 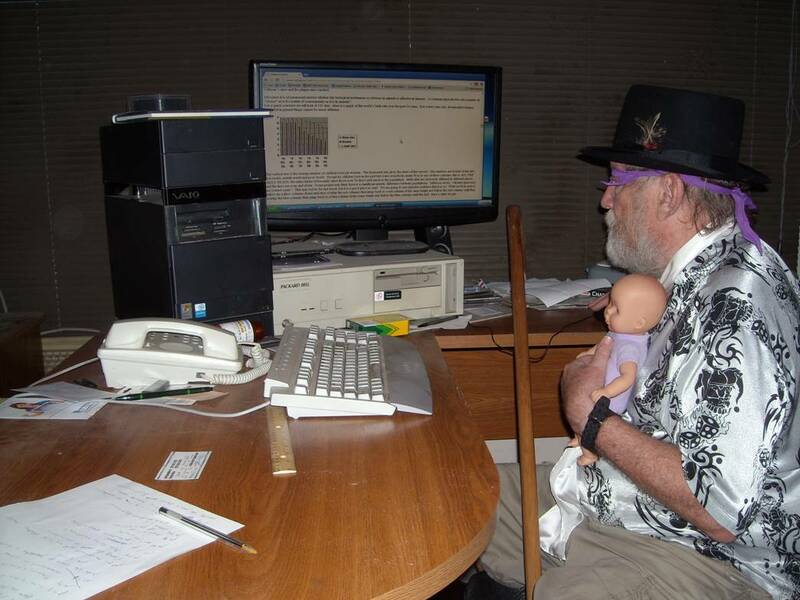 “Are you sure there’s anybody out there?” Florida Man fights for babies. Don’t worry. The baby hasn’t been hit. 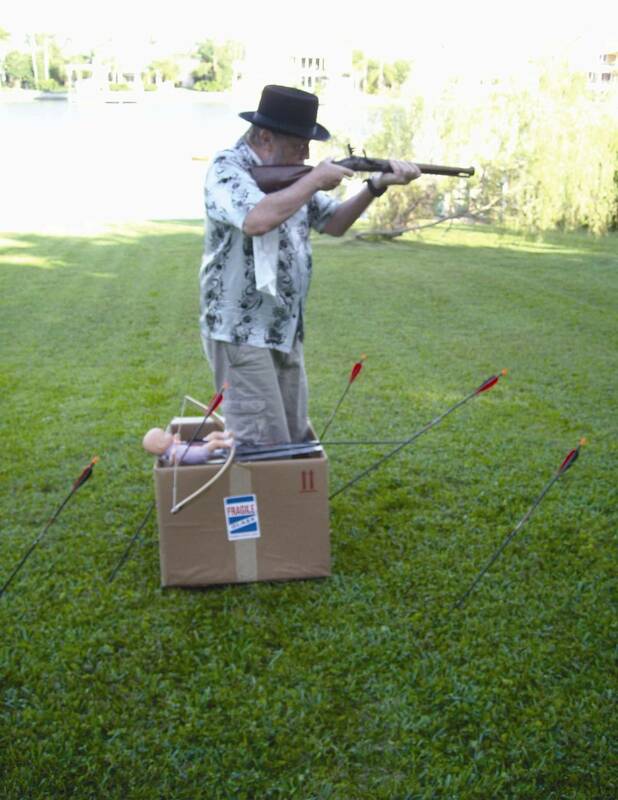 He’s turned himself into a crossbow and that arrow is well outside the bowstring. There have been 244 visitors over the past month and "Babies Triumph Over Evil has been run 84 times on YouTube.